Seth is on the long journey of following Jesus and learning how to invite others to follow Jesus too. He stumbled through this process as a minister to youth and families at Life on the Vine Church in the Chicago suburbs, then for five years as Pastor of Discipleship at St. Andrew’s Church. Seth is most interested in how discipleship is best integrated within the habits and practices of a community. 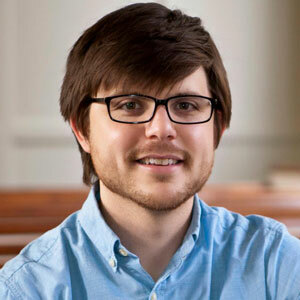 He studied at Trinity Evangelical Divinity School and Wheaton Graduate School, and is currently a doctoral student in Contextual Theology at Northern Seminary. He was an adjunct instructor at Ouachita Baptist University where he taught hermeneutics and is a featured writer at Missio Alliance. Seth is rector of Christ the King Anglican Church, a church plant in Fayetteville, Arkansas, where he and his wife, Caralisa, live with their daughter, Ruth. He probably drinks too much coffee.